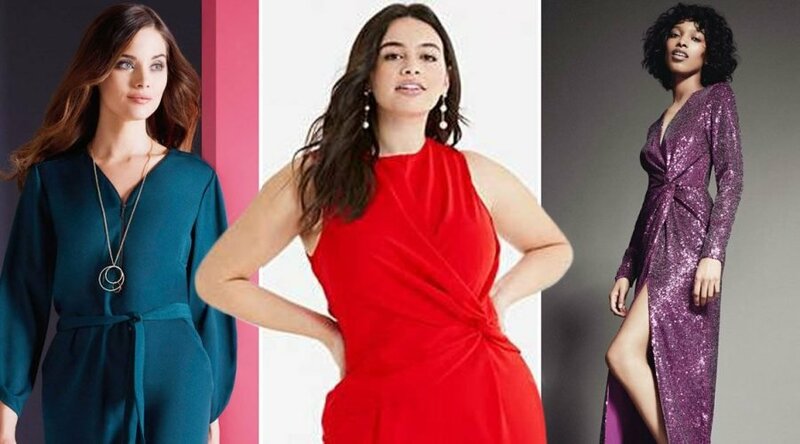 If you’re looking for some outfit inspiration for over the festive period with a few slimming tricks, then we’ve got you covered. We’ve chosen the best jewel colour pieces that are super flattering and will disguise any unwanted lumps and bumps. So you can look and feel fabulous, enjoy being merry and not have to worry about your waist-line this Christmas. The dream combo: nipped in waist and long sleeves. Fit ‘n flare skirts are perfect for skimming over wide hips. The ruched detailing will disguise a round tummy. Can be work with wide-leg trousers or a midi skirt. Straight leg trousers will elongate your legs. This top has slits on the sleeve’s so you can flash a bit of flesh but still stay covered. These shoe-boots are cut low, so they make your legs appear longer, making them easy to team with trousers or a dress.